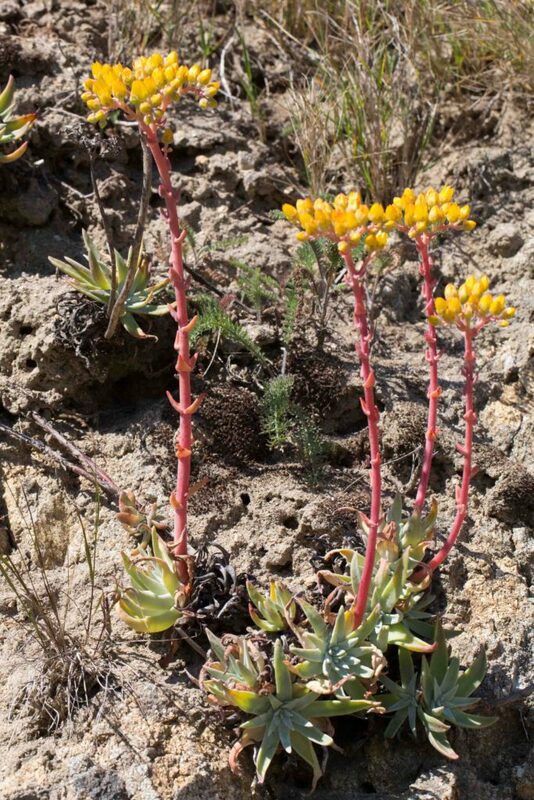 Dudleyas are an attractive species except when it comes to trying to identify them. 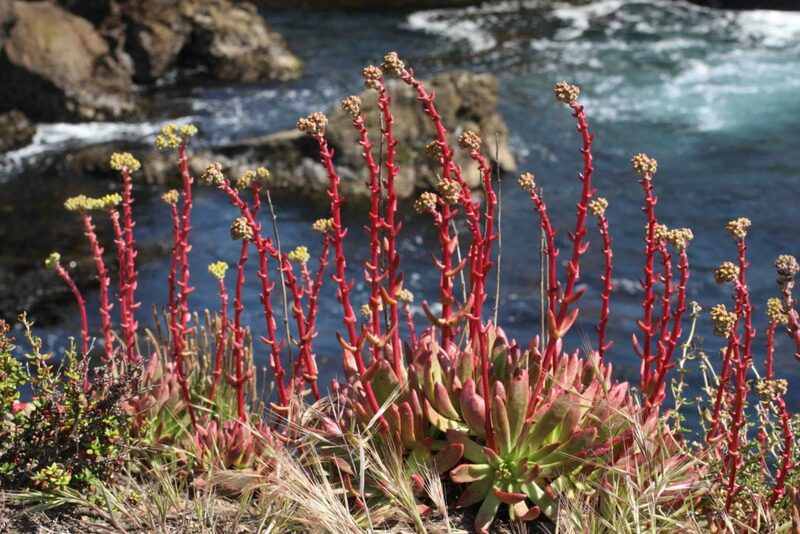 Although some have clearly distinguishing characteristics, all of them hybridize readily and intergrades of at least four of the species found in Monterey are common. 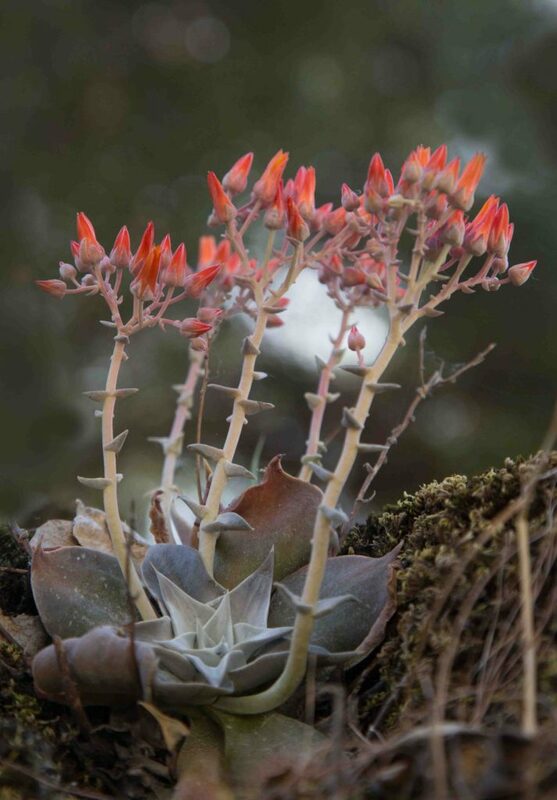 In some species, the caudex (the woody and persistent base of the plant) is visible beneath the leaves and its size can be an important element when it comes to identifying the plant. 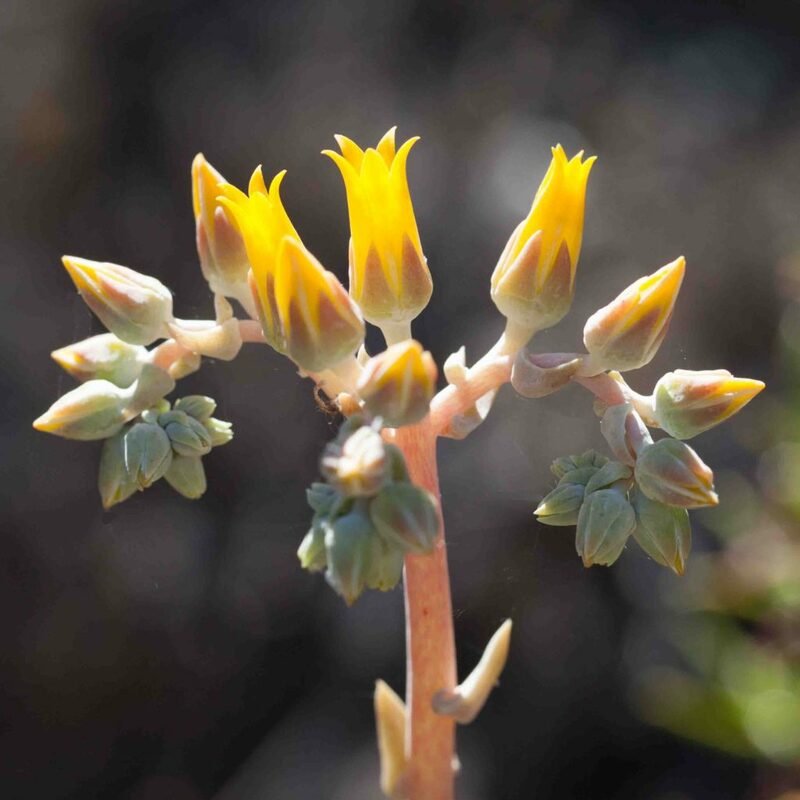 The height of the flower stem can be another important indicator. 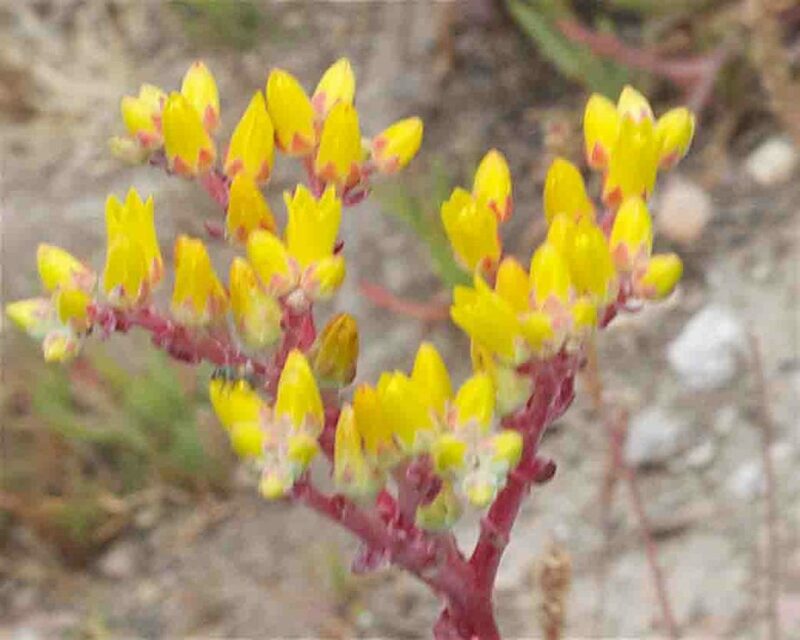 The peduncles curve upwards from their base with a terminal cluster of bright yellow flowers with petals united for < 1/3 of their length. 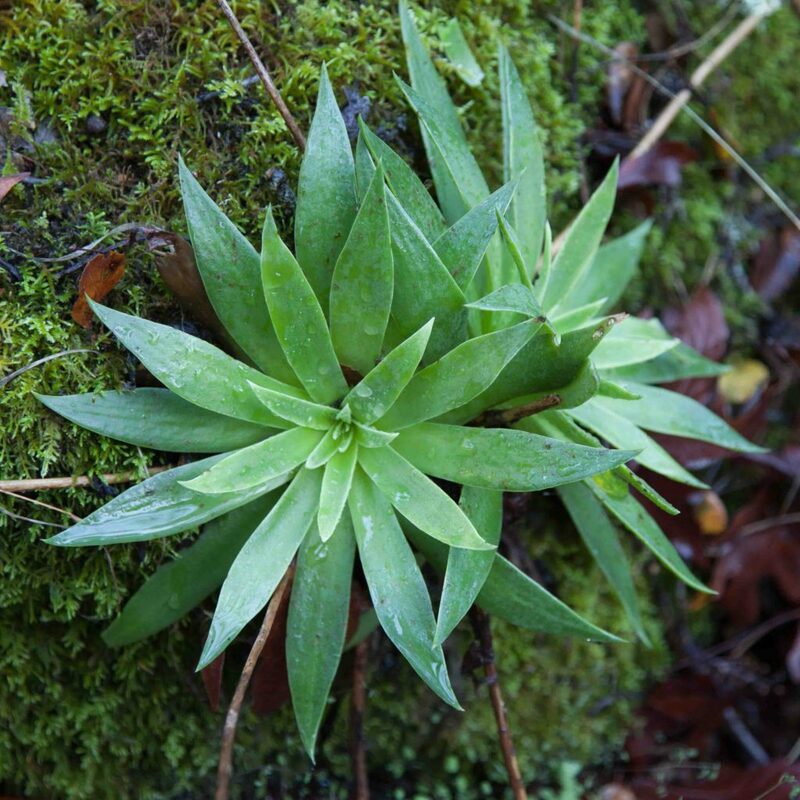 There are usually several basal rosettes of succulent, oblong to lanceolate or roundish leaves which are up to 20 cm long. 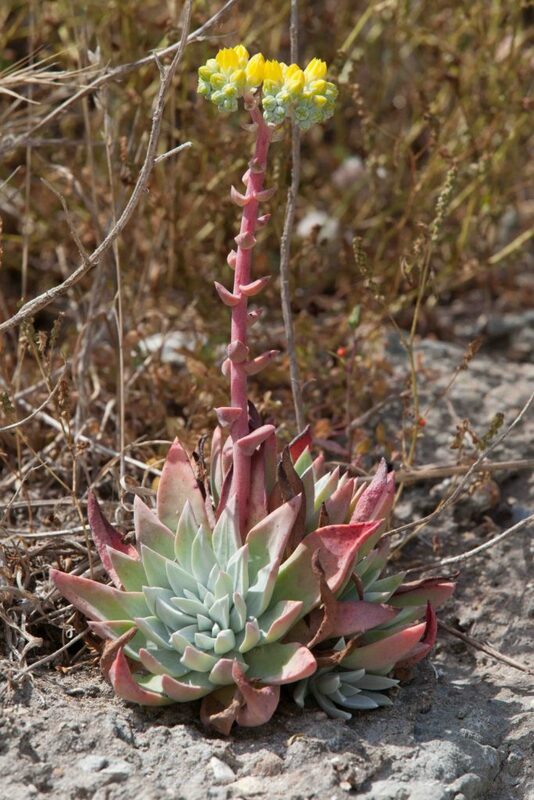 Leaves are often more green than gray in color, unlike Bluff Lettuce (Dudleya farinosa). 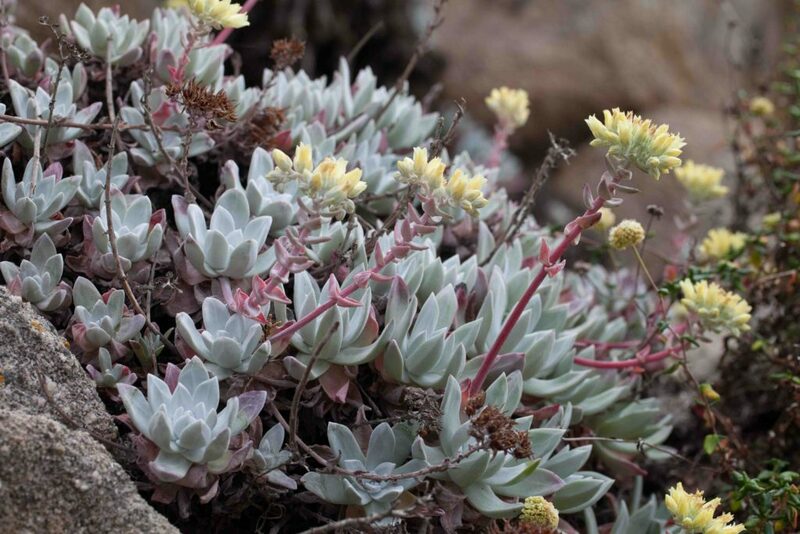 A smaller plant than Sea Lettuce (Dudleya caespitosa), with pale yellow flowers and grayer leaves. 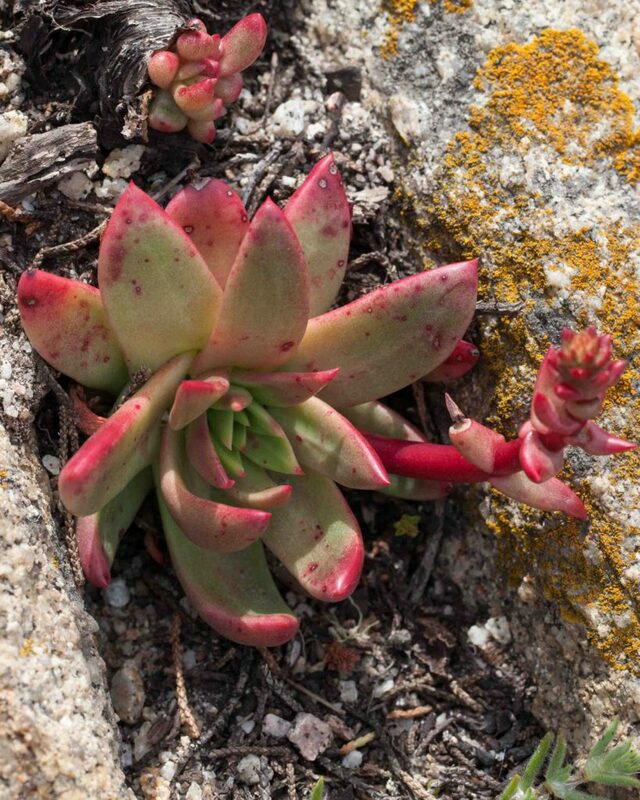 The leaves are oblong to ovate (not round), up to 6 cm long and may be glaucous (covered in a fine white waxy or powdery coating). 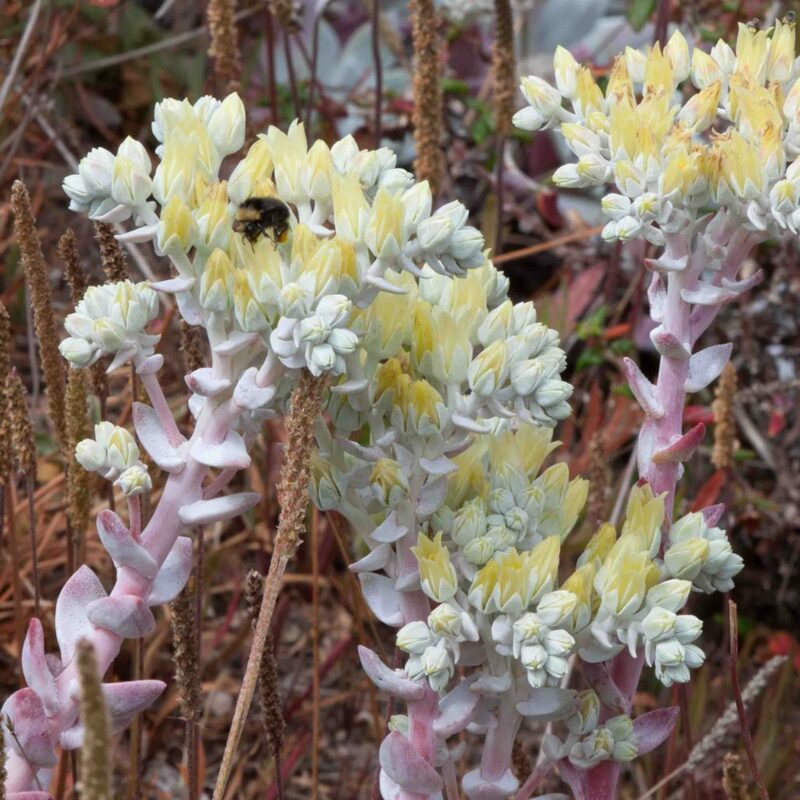 Apart from the plant’s height, both the paler flower color and the grayer, glaucous leaves help to distinguish this species from Sea Lettuce. Quite common inland. 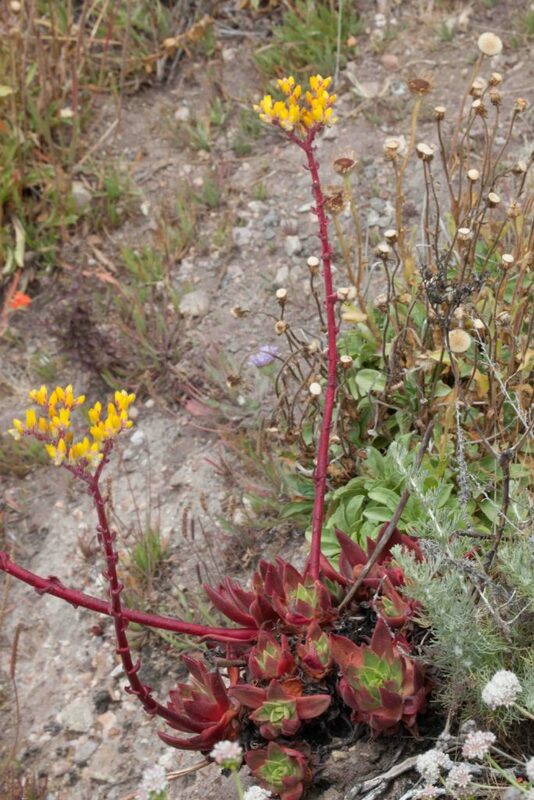 Distinguished by its long (5–30 cm) lanceolate leaves and the height of its peduncle. 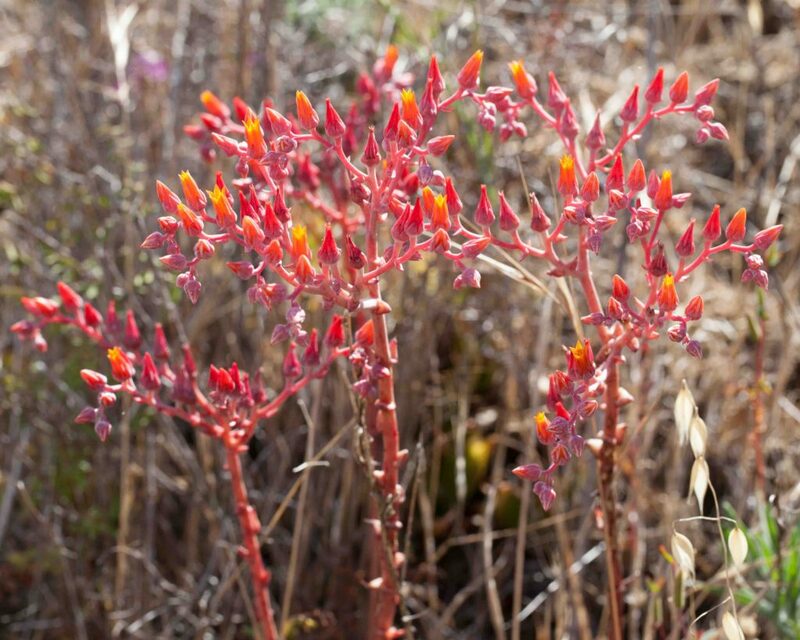 The flowers vary in color from bright yellow to reddish-orange. 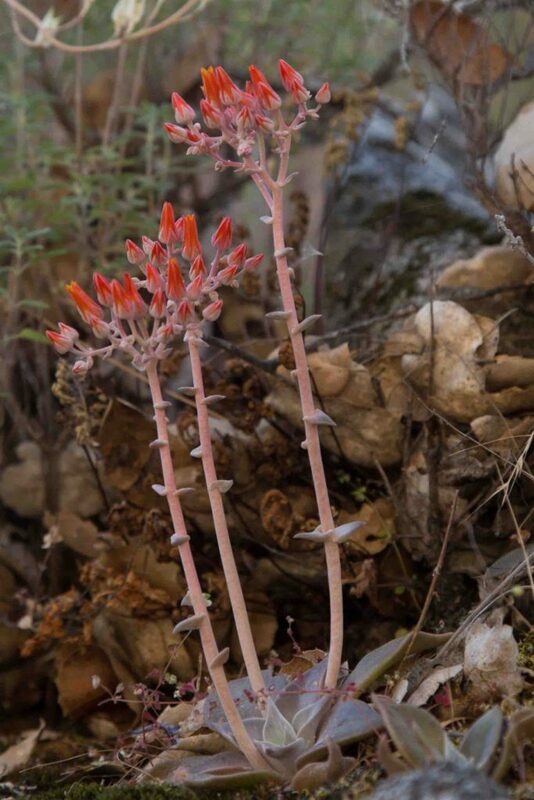 At first sight this is not unlike Lance-leaved Dudleya (Dudleya lanceolata) in appearance. 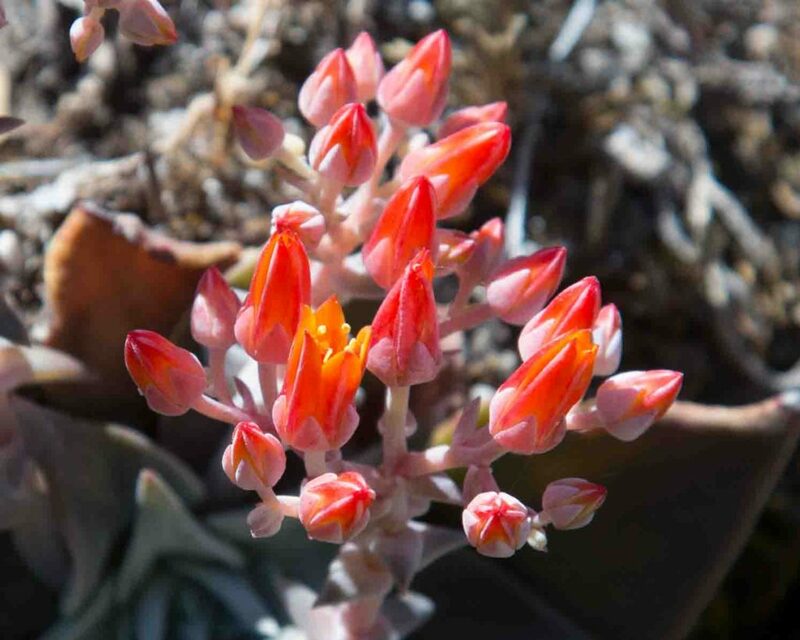 It is however much shorter, with flowers that are generally reddish-orange (but may be yellow) and with leaves that are proportionately broader, diamond-shaped to oblanceolate or spoon-shaped with the margins upturned at the widest point and a recurved tip. 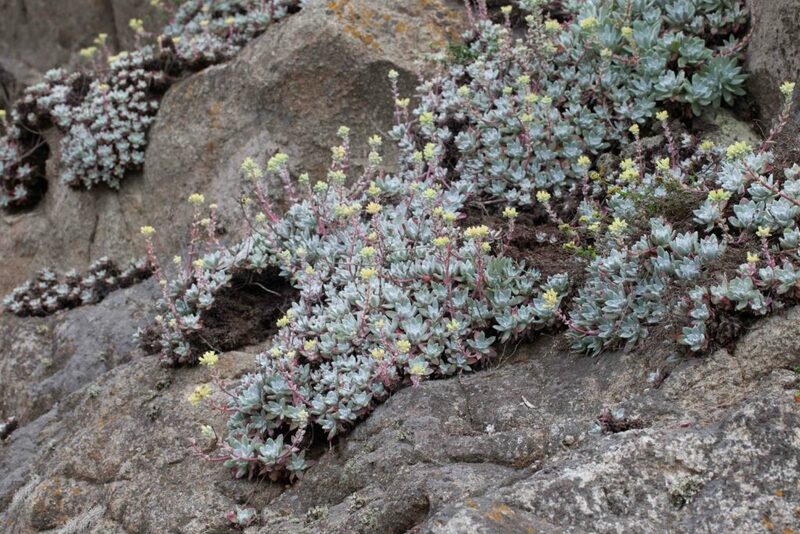 Leaves may be green or conspicuously glaucous.